When shopping for fine diamond jewelry, customers look not only for exquisite band craftsmanship, but brilliance in diamonds. Thankfully, Hearts on Fire has that down to a science. Each and every diamond in any Hearts on Fire engagement ring has been cut by one of the world’s most masterful artisans. Using their many years of jewelry experience and hand-selected diamonds, Hearts on Fire upholds their “the world’s most perfectly cut diamond” status. Every Hearts on Fire diamond is sure to burst with the sparkle and brilliance desired; even “from ten tables away”. Available today, at Long Jewelers, Hearts on Fire's most beautiful engagement rings that are sure to woo all brides-to-be. With over 20 years of expertise in the jewelry industry, Hearts on Fire has gained quite a name and reputation for being simply the best cut diamond available today, bringing additional sparkle to Long Jewelers’ Virginia Beach showroom. As an authorized retailer, Long Jewelers customers can have confidence knowing all Hearts on Fire fine jewelry purchased is authentic, genuine Hearts on Fire "perfectly cut" diamond jewelry. Hearts on Fire engagement rings collections available today at Long Jewelers includes their Cali Chic, Transcend, Simply Bridal, Euphoria, Destiny, and many more. 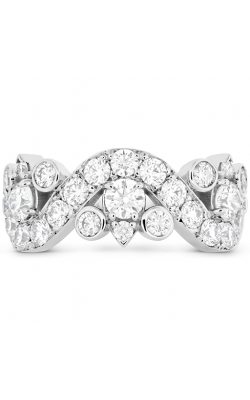 Hearts on Fire's beautiful rings are available in an array of styles including halo, solitaire, and three stone. 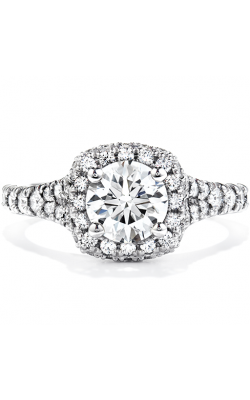 Hearts on Fire has made such a difference in the engagement ring world with their incredible sense of detail. 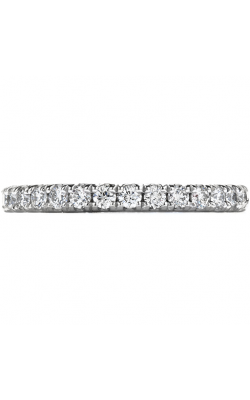 Adorning pave bands, and center stones, many of Hearts on Fire's engagement rings feature not a single, but a multitude of their precision cut diamonds. Additional engagement ring collections available today at Long Jewelers include Delight and Distinguished, and many more. Long Jewelers is proud to supply the area with an extensive assortment of Hearts on Fire's most requested diamond engagement rings in a variety of designs that are sure to make any woman feel like royalty. Why Shop at Long Jewelers? For nearly four decades, Long Jewelers has provided Virginia Beach and the Norfolk, Chesapeake, Portsmouth, and Suffolk areas with spectacular, hand selected engagement rings, wedding bands, Swiss timepieces, and GIA certified loose diamonds. As an authorized retailer for Tacori, Coast Diamond, and many more, the hospitable and professional staff at Long Jewelers is always excited to assist clients, friends, and neighbors selecting the perfect fine jewelry item for any occasion. With an on-site jewelry and watch repair team, Long Jewelers is ready to help customers with all their jewelry needs. Recently named associate curator for the Museum of Named Diamonds, Long Jewelers is now proudly helping couples preserve their love story for eternity.